A restaurant cannot sustain on a guest coming there just once. Despite the rise of delivery, take-out and online ordering technologies, restaurants still value the physical experience. A survey of customer satisfaction gives you an insight into the attitudes and opinions of the customers. If the result shows that your restaurant doesn’t fulfill customers’ expectations, you will get to know that at what area to target for improvement. Restaurants that don’t provide an engaging experience in-house could encourage customers to order online instead or choose another establishment all together. It’s important not to “put all your eggs in one basket” – restaurants require engagement both in-house and online in order to be profitable. “For me, the idea has always been expanding with the need”, says Sumant Pai, Head, Yash Compostables Ltd.
A review of consumer loyalty gives you an understanding into the mentalities and feelings of the clients. You will become acquainted with their needs, expectations, regardless of whether they will come back to your eatery or not and in the event that they will tell others. On the other hand, the outcome demonstrates that your eatery doesn't satisfy client desires; you will become acquainted with that at what territory to focus for development. According to the National Restaurant Association, most of the successful restaurants flourish because of a loyal customer base. This business demands linking a group of people to one another with a single objective of satisfying the customer demands. If your customers are satisfied, it will increase the restaurant’s profit. So it is important to satisfy your customers by providing different rewards. There are 3 types of customers. Customers who come once or twice and never again. Customers who come every now and then, but not often at all. Customers who are regulars. The staff recognizes these people as they come often. These types of people are very important for your restaurants’ success. The only way to outdo competitors is to find and rectify all the flaws in your business. So, try to know those things from the customers in surveys. It is important to acknowledge the positive as well as negative feedbacks. You can just send a message thanking the customer for positive feedback and for the negative feedback it is important to notify the customer that what steps have been taken. Just make sure you don’t lose a customer. Many restaurants spend funds and effort to get new customers rather than retaining the existing ones. In the food industry, Customer Experience is highly prioritized by the customer, thus those restaurants that provide a certain level of Customer Experience tend to find consistent growth and success. With an advanced restaurant management system, you can use its reporting features to analyze your restaurant’s overall performance, strong suits and best selling opportunities. “80% of your sales will come from 20% of your guests”, Kapoor added further. 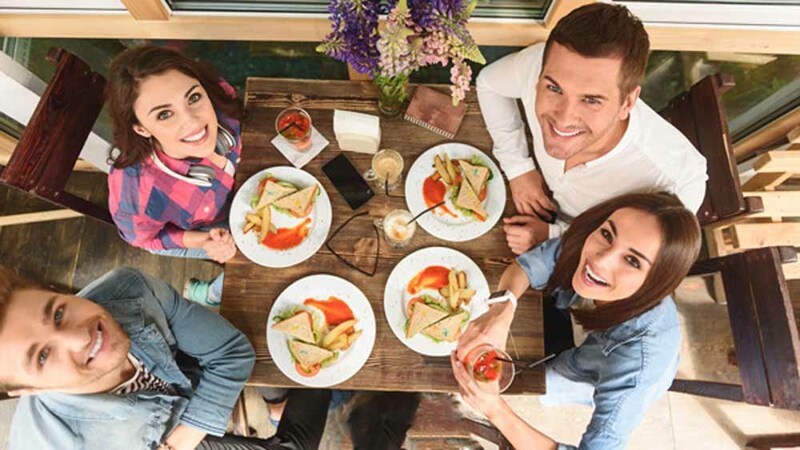 According to a recent study from Technomic, customers want to see new technology integrated into their dining experiences, especially if it will speed up the process of getting their meal or paying their bill. It’s important for restaurants to start using the latest technologies, and they expect to use technology to order food more often. “A restaurant cannot sustain on a guest coming there just once”, Shyesha added further. Why It's Important to Create a 'Product'..